Should You Be The One Paying For Salon Training Courses? There is no getting around the fact that salon owners who invest in staff training reap a plethora of rewards. This includes better-skilled employees, increased staff retention rates, happier clients and increased profits. You have to invest in your team if you want to exceed. But should you be paying for all these salon training courses or are there situations in which the employee should cover the fees? When you hire someone, you set out what skills you want them to have. If after the hiring process you want them to take on further training, then you will have to pay for it. When hiring, it’s your responsibility as the salon owner to make it clear that you expect your employees to take part in salon training courses. If a potential candidate isn’t okay with this, you should probably not hire them. The problem arises when you invest in an employee, and they leave soon after. What can you do? Even if one walks, the rest of your team have seen you invest in them. They will remember that and benefit from it. If you dropped your phone and it cracked you wouldn’t take a hammer to ruin what was left – would you? You can insert a clause in your employment contracts stating that training will be given, but the value of the training will be deducted from any final wage if they leave within ‘x‘ amount of months. Also, if you are putting an employee on a training course, they should receive their normal benefits and rate of pay while attending. If the cost of training was €50, then you can’t stipulate that the employee has to give that back if they leave within two years. Before they undertake training, always advise an employee that there is a cost involved. Inform them of your expectations – for example, ‘stay a minimum of 6 months after the training’. Let them know that if they leave within the 6 months, you will recoup the cost of the training from their wages. Always be clear and make sure you have everything discussed and agreed upon in writing. This post was originally published in March 2017 and has been updated for accuracy and comprehensiveness. 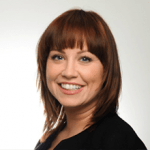 Michelle Bolger is an employment law consultant (ESA Consulting Associates Ltd.) who also works with Phorest Salon Software to provide HR blogs that are relevant and helpful to the hair and beauty industry. TrainingHow To More Than Double Your Salon Turnover ... Without A Single New Client!